Followers of Annie Mole's blog may be familiar with Bob, the ginger cat who hangs out with Big Issue seller James Bowen outside Angel tube station. 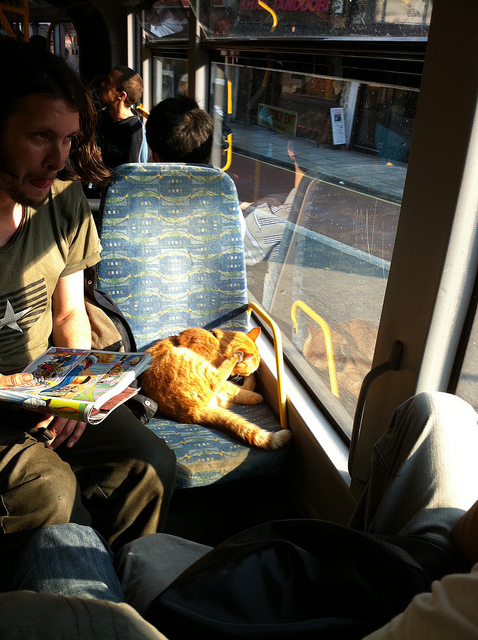 James found the injured Bob last year, took care of him and now the two are inseparable, with the cat even travelling around London with him - as spotted by eagle-eyed Flickr pool contributor Andrew Bulhak last month on a 73 bus. And now Annie Mole reports that Bob has a book deal! 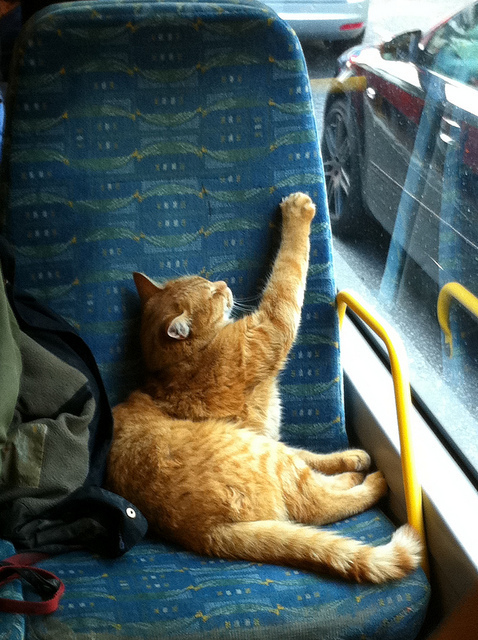 Hodder will publish A Street Cat Named Bob: How One Man and His Cat Found Hope on the Streets of London next March. 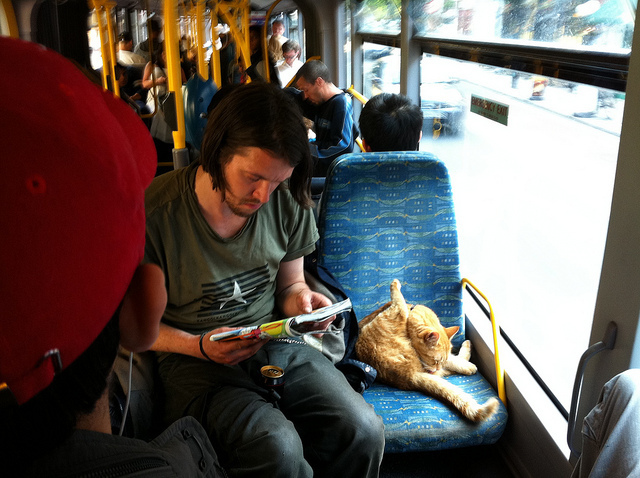 This cat is such an obvious dude that we wish them all the best and hope it becomes a runaway bestseller - but don't start taking taxis, we wouldn't want to remove the only public-transport-taking cat from the city's mean buses.